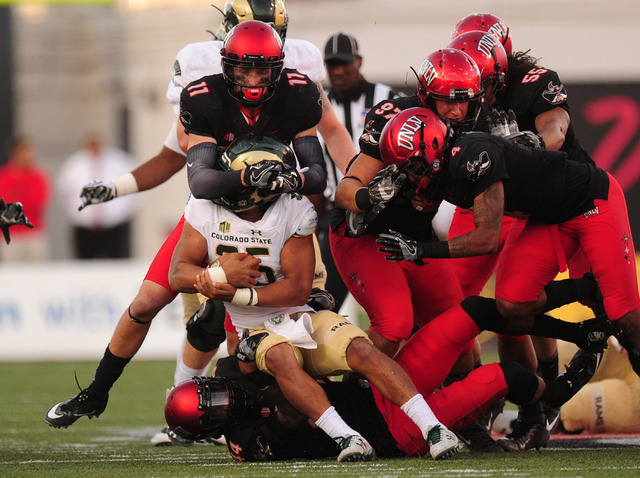 Five things to look for when UNLV’s football team plays San Jose State at 7:30 p.m. Saturday at CEFCU Stadium in San Jose, California. 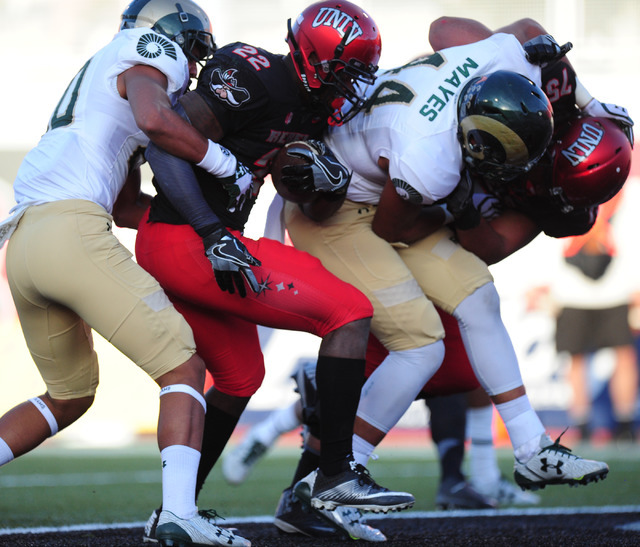 Colorado State had its way with UNLV in converting 10 of 18 third downs and three of four fourth downs in last Saturday’s 42-23 win at Sam Boyd Stadium. The Rebels are 98th in the country in third-down conversion defense, allowing opponents to convert at a 44 percent clip (54 of 123), and are tied for 96th in the nation in fourth-down defense (60 percent, 9 of 15). Only three teams in the country have a lower completion percentage than UNLV, and two of them — Air Force and Army — are primarily running teams. The Rebels have completed only 46 percent of their passes (87 of 189) this season for 160.5 yards per game, which ranks No. 116 in passing offense. The Spartans also have struggled with their accuracy, ranking 112th in completion percentage (54.5, 127 of 233). The Rebels have already surpassed last season’s sack total with 11, which is good only for a tie for 110th in the country. UNLV should have a good chance to add to that total against the Spartans, who have allowed the most sacks in the nation with 38. The next highest number of sacks allowed is 30, by Massachusetts and Miami (Ohio). UNLV, which has the nation’s 21st-ranked rushing offense with 238.6 yards per game, has rushed for more than 250 yards in each of its three wins this season: 256 against Hawaii, 280 against Jackson State and 364 against Fresno State. 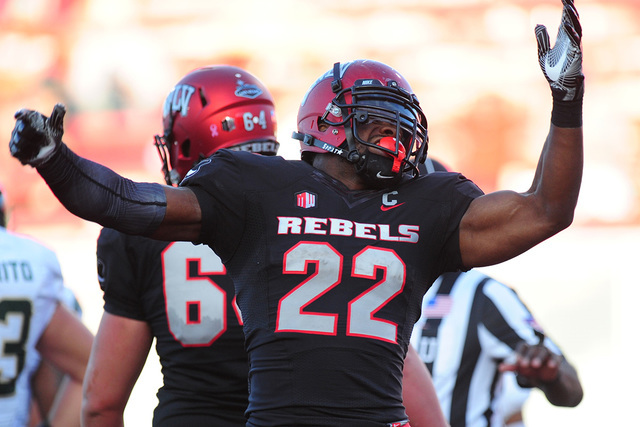 The Rebels appear primed to run wild against San Jose State, which ranks 117th in rushing defense, allowing 236.4 yards per game. Seven of UNLV’s eight games this season have gone over the total, as the Rebels have averaged 31.4 points (No. 54 scoring offense) and given up 32.2 (No. 94 scoring defense). 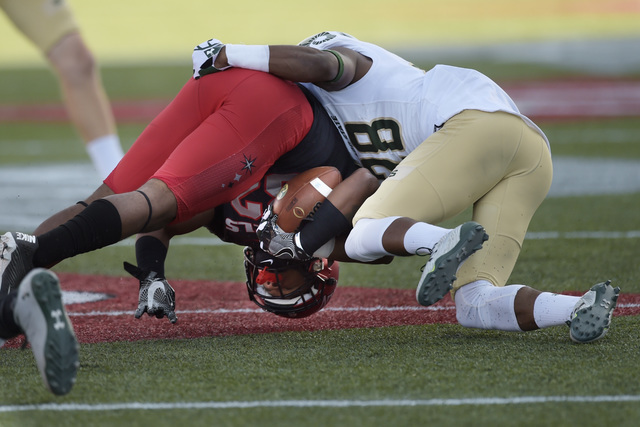 UNLV has scored at least 21 points in all but the one game that went under the total, a 26-7 loss at San Diego State. The total is 56 for Saturday’s game at San Jose State, which averages 22.3 ppg (No. 110) while allowing 36.5 ppg (No. 114).